Oregon Ag Fest is an activity-filled festival for the whole family. Hands-on exhibits make learning about Oregon’s vast agricultural industry educational and entertaining. Ag Fest strives to bridge the gap between urban and rural life, and to share the wonder and abundance of Oregon’s bountiful and diverse harvest. Kids 12 and under receive free admission, and virtually all activities at the event are free of charge. 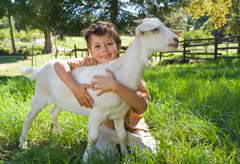 Ride ponies, plant seedlings, watch sheep get sheared, pet farm animals and much, much more! Members of the Marion Polk Veterinary Association will be there to answer your questions about animals. Come see us at Ag Fest! Buy advance tickets for those ages 13+ here.